Patsy Kay Howell was born on March 17, 1938 in Binger, OK to Earl L. and Ethel (Scott) Young. 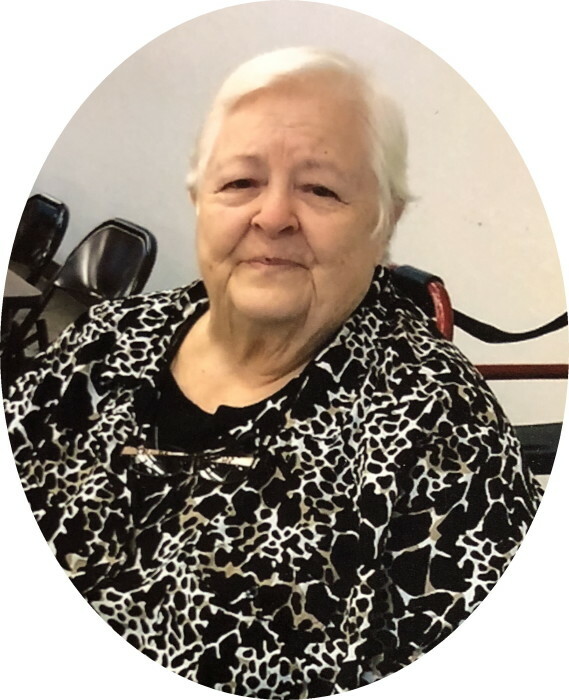 She passed away on January 13, 2019 in Yukon, OK at the age of 80. Patsy graduated from Binger High School in 1956. She lived in Binger until 1962, moved for a short time to Pauls Valley, then to OKC, and moved back to Binger in 1996. She worked for Merchants Bookkeeping & Income Tax from 1964 to 1989 and S.Crews CPA from 1990 to 1995. She volunteered and served on the board of directors at the Binger Community Center from 1999 to December 22, 2017. She was a member of the Binger Baptist Church, where she sang in the choir and taught Sunday School. The Senior Center was her passion. She was preceded in death by her parents, Earl and Ethel Young, and her great-grandson, Trenton Howell. Survivors Include: her children, Linda Howell of Binger, OK, Chris Howell and wife Missy of Binger, OK, and Danny Howell of Binger, OK, her grandchildren, Holli Stock and husband Mike of Binger, OK, Jesse Howell and Sadie of Yukon, OK, Jake Howell and wife Bree of Binger, OK, and Jordan Howell and wife Whisper of Binger, OK, her great grandchildren, Hannah, Spencer, and Josie Stock, Blayne, Kyiler, and Saigan Howell, Kristen, Kinzie, Hadleigh, and Jacoby Howell, Kiera Howell; great-great granddaughter, Sayler Cooper; as well as many other relatives and friends.